The Cloudcast is excited to announce a new partnership of O'Reilly Media! To kick things off The Cloudcast and O'Reilly have one free pass to O'Reilly Velocity to give away! We're also allowing our listeners access to free O'Reilly eBooks. Other great offers coming soon. 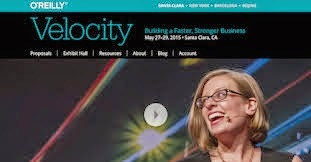 Want to register for Velocity now? Use promo code 20CLOUD for 20% off! NOTE: Contest only includes the pass to Velocity Conference. It does not provide any coverage for Travel or Expenses - you're on your own for that. We look forward to hearing about what you have going on! Topic 1 - Briefly about your background on the company and team (John was at Twillio and IFTTT). Topic 2 - How is API testing different than application testing? How is API Monitoring different from simple uptime monitoring? Who is a typical customer of Runscope, what types of challenges and tests are they solving for? Topic 3 - Walk us thru how the testing works (you mention "no code needed") through the lifecycle of an application. What are some common problems across different platforms (browsers, OS) or different regions of the world? Topic 4 - API versioning is a major headache. Anything you do to help simplify or manage that for customers? Don’t you still code as a CEO? Do you feel this pain? Topic 5 - Runscope has a lot of community based projects (link in show notes). How did this come about and what advantages have you seen through the development of an API community? Topic 6 - With so many APIs these days what's the best way to get started with API testing? Topic 1 - It’s been nearly two months on the new job. How are things going so far and where haven’t you been speaking - we seen pictures of you everywhere. Topic 2 - What is Cloud Foundry these days? Sometimes I hear it called “modern middleware”, other times it’s a “platform for modern apps”, or times it’s “advanced container management”. Topic 3 - Digging into the tech a little bit, Cloud Foundry used to be the platform and then there was BOSH, which was the CF deployment tool. Now there are a bunch of other subset projects, such as Lattice. How does the Foundation manage architectural discussions so this doesn’t turn into OpenStack? Topic 4 - You’ve been around both open source communities and commercial ecosystems for a while. They’re difference, but similar in ways. Why do you think we’re seeing more projects go towards the Foundation model? Topic 5 - What are the marketplace goals of the Cloud Foundry Foundation? Where are your boundaries to spread the word vs. moderating messages? Topic 6 - You’ve built developer communities and ecosystems before. Is there a killer-app “type” or domain that you’re specifically focused on growing or you think will grow faster than others? Topic 1 - Let’s talk a little bit about your background and why we asked you to come discuss Kubernetes tonight. Topic 2a - What makes Kubernetes easy to use and hard to use? Topic 2b - Does it use/assume all the native container management tools, or does Kubernetes do some of that tool? Topic 3 - Let’s walk through the basic concepts and suggested best practices around things like #apps/container, tagging and pods. Topic 4 - Since Kubernetes came from Google, every just assumes it deals with scale well. But how does the scaling of that control plane work? Is it a single data-center view, multi-data center or smaller segments within a data-center? Topic 5 - What Google-specific assumptions are built into Kubernetes that might not be broadly applicable to other companies? Topic 6 - What are some of the common applications that companies use to get started with Kubernetes?